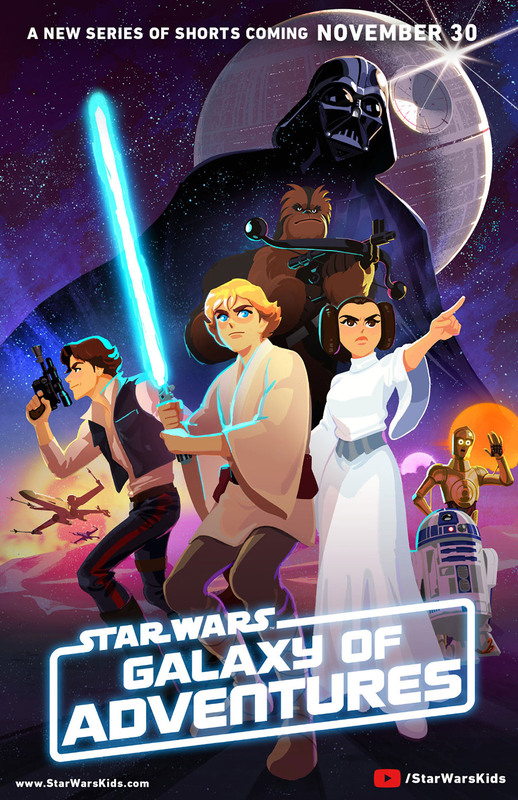 The first six episodes have dropped from new shorts animated series Star Wars: Galaxy of Adventures. And, we have to say that the animation is beautiful, but we’re still lost as to what the point of this is. Surely if you want a young audience to discover all these iconic Star Wars moments, the best thing to do is just sit down with them and watch the movies? Also, some of the sampled dialogue is irritating as it sounds different as it’s taken from different scenes and movies – especially in the Han and Chewy episode. But maybe we’re just old and grumpy but honestly, what’s the point of these? Check them out below and let us know what you think, guys.